Featuring stunning views of the New River Gorge, The Vista Restaurant at Hawks Nest State Park has opened under park management, the W.Va. Division of Natural Resources announced today. The upscale restaurant in the park’s cliffside lodge will begin serving alcoholic beverages after July 1. “It’s a new start at Hawks Nest State Park,” superintendent Mike Hager said of the launch. Diners gather at Hawks Nest. The full-service restaurant now serves breakfast, lunch, and dinner from 7-11 a.m., 11 a.m.-2 p.m., and 5-9 p.m., respectively. 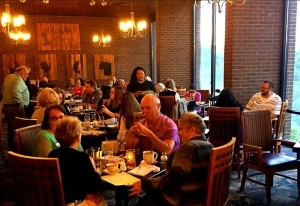 On Sundays, the restaurant offers a breakfast buffet and brunch from 11 a.m. until 2 p.m. in addition to regular dinner hours. An early-bird dinner discount is also available Monday through Friday 5-6 p.m. as well as a “diners club” program that recognizes birthdays and anniversaries, according to a release from the division. The launch follows a period of equipment replacement and seating and décor updates, and welcomes a new chef, Patrick Falbo, a graduate of the Culinary Institute of America with more than 20 years of upscale dining management and experience, Hager said. 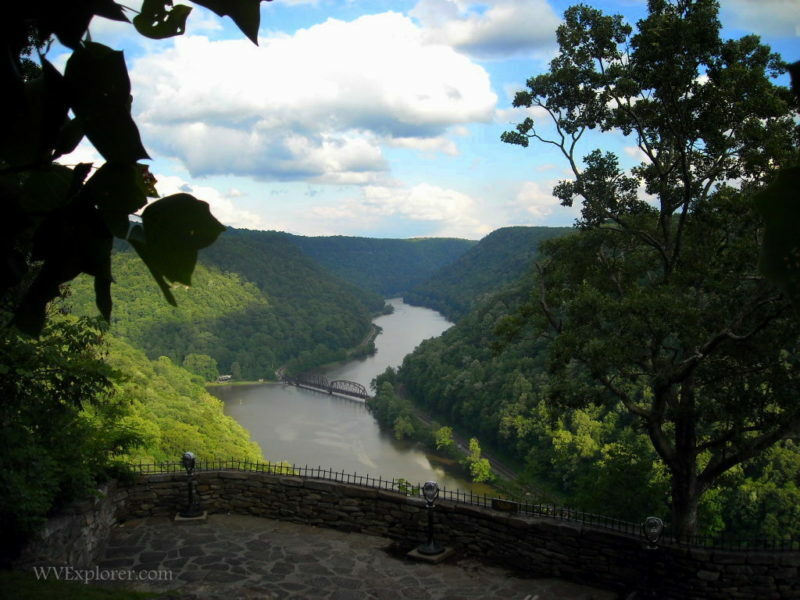 The restaurant overlooks the New River Gorge and provides views of the iconic Hawks Nest overlook, Hawks Nest Lake and infamous Hawks Nest Tunnel. Hawk’s Nest, the centerpiece of park, is a cliff on Gauley Mountain that rises 585 feet above the New River. The park is located on US 60 at Ansted, West Virginia, on U.S. 60, approximately 40 miles from Charleston, West Virginia, and 10 from Fayetteville, West Virginia. For more information,visit West Virginia State Parks or call 304-682-5212.